GEORGETOWN, DE – The stakes have risen for Friday night’s double-headliner event at Georgetown Speedway. 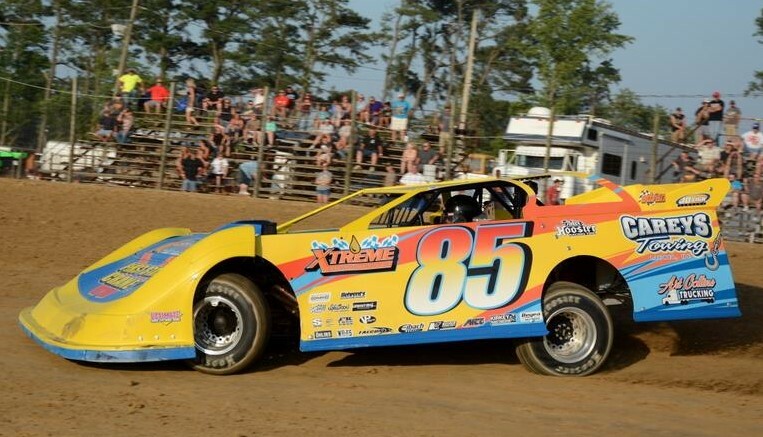 Thanks to the support of area businesses, BOTH the Sunoco Modified and Super Late Model divisions will compete for $3,250 to win on Blue Hen Dispose-All Night at the Sussex County half-mile oval this Friday, July 20. The Sunoco Modified event was slated to pay $3,000 for its distance of 30 laps. Stockley Tavern, located just south of the speedway on Route 113 south, has posted a $250 cash bonus to bring the winner’s share to $3,250. The accompanying Super Late Model 25-lap event was scheduled to offer $2,500 to the winner. The County Seat Cruisers group added $300 to bring that number to $2,800. Then, JD Shuckers Georgetown restaurant on Route 113 north of the speedway, bumped the Super Late Model top prize to $3,250 by adding $450. And there’s more for the Super Late Model contingent. The Super Late Model event on Friday offers a valuable $1,000 guaranteed starting position for the Bedford (Pa.) Speedway’s Keystone Cup on Sept. 28-29. There are only two of these spots being offered across the Northeast and Mid-Atlantic for this blockbuster event. Also on the July 20 card: L&J Sheet Metal Crate 602 Sportsman ($1,000 to win with 15 or more cars, $600 to win with less than 15), Southern Delaware Vintage Stock Cars, Little Lincolns, Delmarva Chargers and Delaware Super Trucks. Night sponsor Blue Hen Dispose-All will have equipment on display. Hurlock Auto & Speed Supply has sponsored a Kids’ Bicycle Giveaway. The County Seat Cruisers will have custom cars and hot rods outside the main gate early on in the night as well. Pit gates open at 4 p.m. Grandstand gates are unlocked at 5 p.m. Hot laps hit the track at 6:45 p.m. Race time is 7:30 p.m. Adult grandstand admission is $20. Seniors (ages 65 and up) and Students (ages 13-17) pay $16. Kids ages 9-12 pay $10. Children 8 and under are FREE. Pit admission is $35 for ages 13 and up. Kids ages 6-12 pay $10. Children 5 and under pay $2. A website is live for the speedway at www.thegeorgetownspeedway.com. Like Georgetown Speedway on Facebook, follow @thegtownspdwy on Twitter, e-mail georgetownspeedway@gmail.com or by contacting the speedway hotline at 302.563.GTWN (4896).